Young readers who love mythology and magic books are in for a treat this Spring. New releases of middle-grade books (great for 8-12-year-olds) include a growing range of fiction based on ancient myths and magical worlds. We are highlighting five of the best new fantasy books for kids who love mythology and magic to read in 2018. Seeing myths from different cultures brought to life will be exciting for fans of Percy Jackson and other mythology adventures. And finding exciting new stories about children immersed in magical challenges will be a thrill for fans of Harry Potter. There are many wondrous new realities to explore. What’s most exciting is that these books share not only fantasy adventure, but also add to the number of female heroes in the world of children’s literature. Many action and adventure books for children have a boy as a lead character. The lead character is often a great role model for young readers. These books can be enjoyed by both girls and boys, and more balance is needed in gender representation. It is encouraging to see that more of the new fiction books for kids coming out feature a girl as the main character. This is sure to be appealing to both boys and girls and will help encourage a love and fascination of reading. This characteristic can be seen in several of the great new featured here. This brand new adventure series tells the story of Kiranmala, a 12-year-old from New Jersey whose life changes forever when her parents vanish and she is attacked by a rakkhosh demon. The Serpent’s Secret is inspired by Bengali folktales that the author heard as a little girl. Kiranmala is yet to discover her destiny as an interdimensional demon slayer. My son and I think this looks like a fascinating read to look forward to. Indian mythology is an area he hasn’t yet fully explored yet. I am also very glad to see a female heroine at the centre of a daring adventure story. And we have loved hearing the author talk about the powers of immigrant families; of being able to bridge the gaps between many worlds and traditions. This sounds like the kind of book that many young readers need at this time. The Serpent’s Secret was released in February 2018. We are also excited to hear about the adventures of heroine Aru Shah. The release features an introduction by Percy Jackson author, Rick Riordan. It is published by the Rick Riordan Presents imprint – a project to champion authors from under-represented backgrounds and cultures. Inspired by Hindu mythology, Roshani Chokshi’s novel sees young Aru Shah awaken an ancient demon in the Museum of Ancient Indian Art and Culture when showing off to her friends. Aru Shah must now prevent the end of Time and awaken the five Pandava brothers. The fiction draws on the Hindu epic poem, the Mahabharata. Aru Shah and the End of Time was released in March 2018. The Wizardmatch will decide who will inherit the powers and estate of Mortimer de Pomporromp and become the next Prime Wizard of Pomporromp. The competition is open to all of Mortimer’s grandchildren, including twelve-year-old Lennie Mercado who loves magic. The young heroine, Lennie, must struggle between her desire to win and her loyalty to her family. 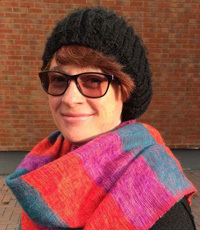 Author of Pilfer Academy and The Only Thing Worse Than Witches, Lauren Magaziner brings us Wizardmatch. Young readers who enjoy Roald Dahl’s books are sure to love Magaziner’s writing style. This book is a magical comedy adventure. I know a few fans of witty magic fiction and young witch and wizard adventures who are sure to love it. Wizardmatch was released in hardcover in April 2018. Fans of Rick Riordan‘s myth-inspired fiction will be excited to know that the latest installment of the Trials of Apollo series is due for release in May this year. In the previous books, Zeus banished his son Apollo – the god of the sun, music, archery and poetry – from Olympus. Apollo became Lester. Newly-human, Lester had to cope with adapting to life in the modern world. He also dealt with attacks by enemies who attempted to take advantage of his weakened state. With the help of demigods who reside in Camp Half Blood, he endured trials to attempt to regain Zeus’s favour. The trials Apollo faces continue in The Burning Maze with familiar heroes working with him again. Fans of The Heroes of Olympus series will be excited to see characters from that series join the adventure. The Burning Maze was released in hardcover on 1st May 2018. The first book in the Nevermoor series was released in 2017. It makes this list due to the release of its paperback this month. The Trials of Morrigan Crow by Jessica Townsend is an exciting adventure into an unknown and magical world. As a “cursed child” Morrigan is destined to die at midnight on Eventide. But she narrowly escapes her fate when she signs up to join the Wundrous Society; an organisation that she isn’t sure really exists! Jupiter North arrives in time to help her avoid an untimely death. Morrigan has lived all her life in the well-ordered world of Jackalfax. She suddenly embarks on a fantastic journey into Nevermoor. If your children enjoy this adventure, they can also look forward to the sequel, Wundersmith: The Calling of Morrigan Crow. It is due for release in February 2019. Read our full review of Nevermoor: The Trials of Morrigan Crow here. The Trials of Morrigan Crow was released in paperback on 8th February 2018. Which new kids’ fantasy books are you looking forward to? 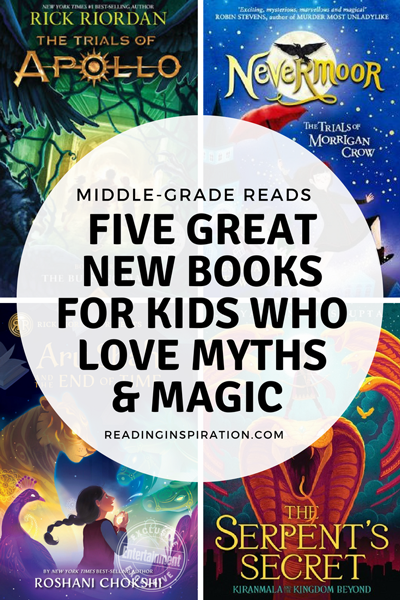 Do your kids love mythology and magic fiction? Tell us about it in the comments below.